Dads Just Wanna Have Fun! Brooke and the kids are on a long play date, so Jamie Deen has invited his friend Sam Carter to the batting cages and then back to his house for a homemade meal. 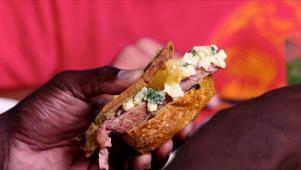 Jamie's making Corned Beef With Rutabagas and Turnips, Kale and Potato Casserole, Soda Bread and a Virgin Mule drink. 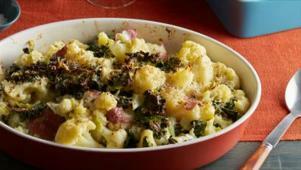 Jamie's Kale and Cauliflower Casserole is full of super-veggie goodness. 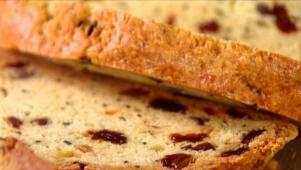 Old-fashioned soda bread is the perfect side for Jamie's Dads Night Dinner. Sliced root vegetables add a hearty flavor to Jamie's corned beef brisket.